Hi, my name is Scott Bussen, but most people call me Scott or Bus or just Captain. Truth is, I answer to just about anything. I am a second generation Floridian born and raised on Florida’s East coast. My family migrated north to the Space Coast and settled in Cape Canaveral when I was nine years old. Both my parents swear that I got the ‘fishing gene’ from my Grandfathers. 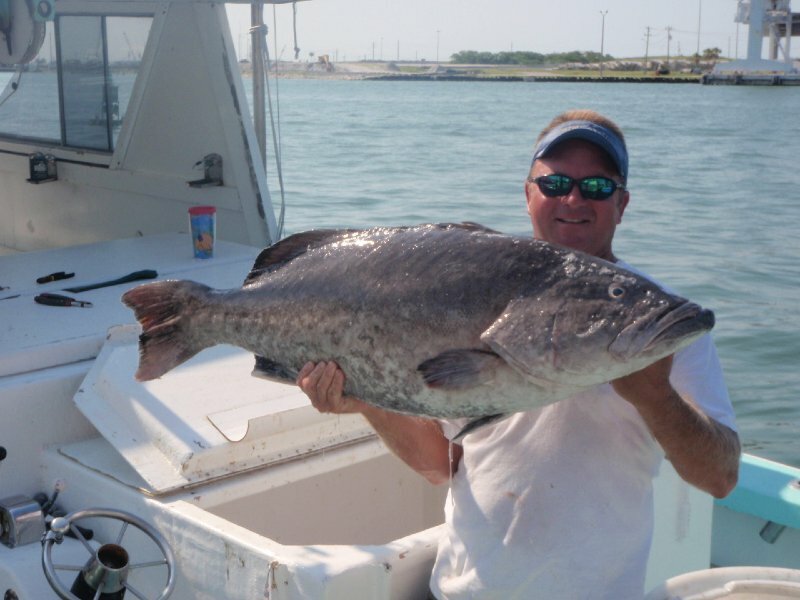 Growing up only a mile from Port Canaveral, I spent my youth trying to catch anything that swam and it turns out, my adult years would not be that much different. I spent a couple years in the business world after graduating the University of Central Florida, but my heart was never in it. After returning home, I have subsequently spent the last couple decades as a commercial fisherman, charter boat deck hand and charter boat captain. My degree in Business Management pales in comparison to the knowledge I have gained over these thousands of days spent deep sea fishing off the Space Coast. It is this knowledge and experience that allows me to guide clients to nearly anything that swims off the coast of Central Florida. You see, I am a full time fisherman, not some fly-by-night part timer. If I am not charter fishing, I am out there, fishing for myself. For me, it’s not just my hobby or my job, it’s more like a relentless drive to fish. “Live to fish, fish to live” is what I like to say! As an experienced, insured and licensed United States Coast Guard captain, I can assure that I, Captain Scott Bussen, will do everything in my power to make charter fishing on the Relentless II an adventure you will never forget! 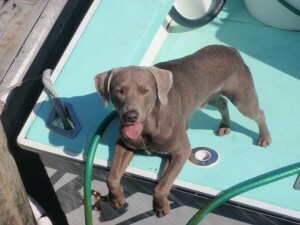 First-mate Tank is a 6 year old silver lab that has been fishing on the boat since a young pup and available upon request. He is an excellent source of entertainment for the kids! Tank loves attention and will show off his skills of keeping the porpoise away from ‘his’ vessel to protect ‘his’ people on board. So if you and your crew are dog lovers, please be sure to mention first-mate Tank!